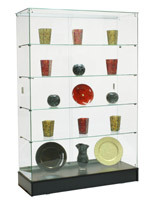 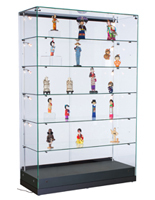 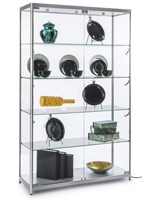 This glass curio display case will make a great addition to boutiques, museums, jewelry stores, and galleries. 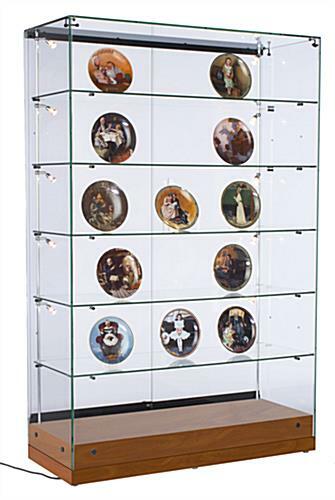 The china cabinets include 5 tempered shelves that can be removed and adjusted to add taller collectibles. 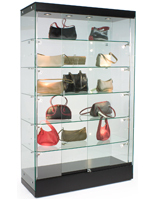 The floor standing display case also has 2 sliding doors that move seamlessly and close easily with the plunger key lock attached. 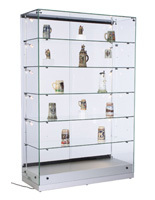 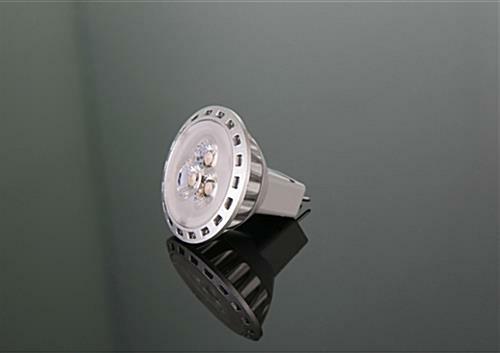 The china cabinet’s vertically mounted LED lights offer an efficient way of showcasing your valuable items. 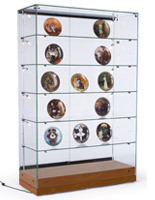 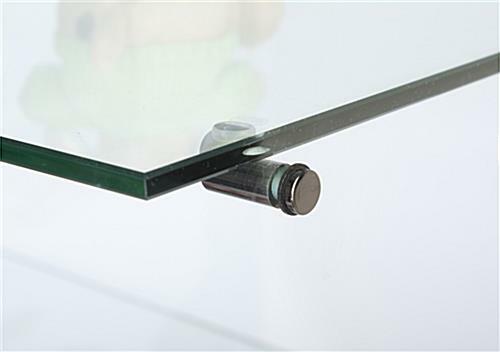 This display case also has 6 adjustable leveling feet to adapt to uneven surfaces. 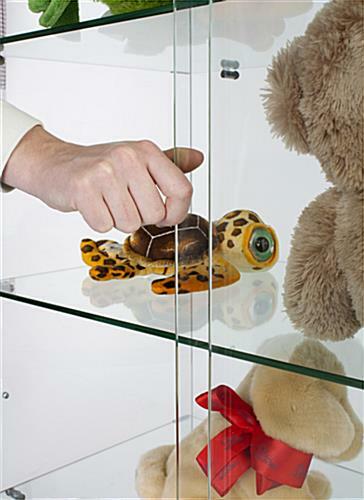 Establish a safe storage area for your collectibles by closing the doors and turning the lock on this beautiful retail accessory!